Anxiousness, worries, ambiguity and confusion are a part of our lives. When these thoughts cross the threshold and become excessive leading to compulsive behaviour like washing hands several times a day, cleaning the house several times a day, it is diagnosed as Obsessive Compulsive Disorder (OCD). This disorder is not due to illness or drugs. People diagnosed with this disorder have unnecessary thoughts, assumptions and belief that occur repetitively. As a result, they are driven to act in an uncontrollable and compulsive manner. The failure to perform these obsessive acts makes them anxious and tense. The natural treatment methods help in regulating the serotonin levels, thereby minimizing or eliminating the symptoms of this disorder. Serotonin is a neurotransmitter that transmits nerve impulses and plays an important role in mood balancing. Essential fatty acids have positive effects on all the disorders associated with central nervous system. They nourish the nerve sheathing and help in better transmission and control anxiety. The most important of the EFA’s are Omega- 3 fatty acids present in fishes such as salmon, cod and mackerel. They are also present in fish oils. Omega -3 fatty acids are also available as supplements.Other fatty acids that can control anxiety are Omega-6 and Omega-9 fatty acids. Flaxseed oil, walnut oil, hempseed oil and sunflower seeds are rich sources of several essential fatty acids. Studies in the past have revealed that most patients affected with OCD are folic acid deficient. The role of folic acid in brain development is well known. A diet rich in folic acid can enhance brain health and curb the symptoms associated with OCD.Broccoli, sprouts, leafy vegetables, egg yolk, milk, peas, whole wheat and sunflower seeds are the food sources rich in this vitamin. Folic acid supplements are also available. Several natural supplements can control anxiety and help the patient relax. Gamma amino butyric acid is an amino acid that helps in neurotransmission. It helps reduce stress and it is low in people suffering from depression, anxiety and OCD. It aids proper brain functioning and calms the mind. GABA supplements have positive effects on people suffering from OCD. The other supplements that can reduce the symptoms of OCD are Inositol, L- glutamine, Vitamin C, Vitamin D and Magnesium. St. John’s wort is the most recommended herb to treat OCD. It has calming effects on the mind and is also widely used to treat depression. It reduces anxiety and relaxes the frayed nerves. Passion flower helps in relaxation. It reduces the symptoms by hindering the central nervous system activities. It is generally taken along with St. John’s wort. It has sedative properties; hence it is wise to avoid it during the day. Valerian root is used in the effective treatment of anxiety. It promotes sleep and calms the mind. Supplements and extracts of this herb are available in herbal stores. Kava also slows down the central nervous system, thereby reducing the symptoms. It relieves anxiety and it is sedative in nature. 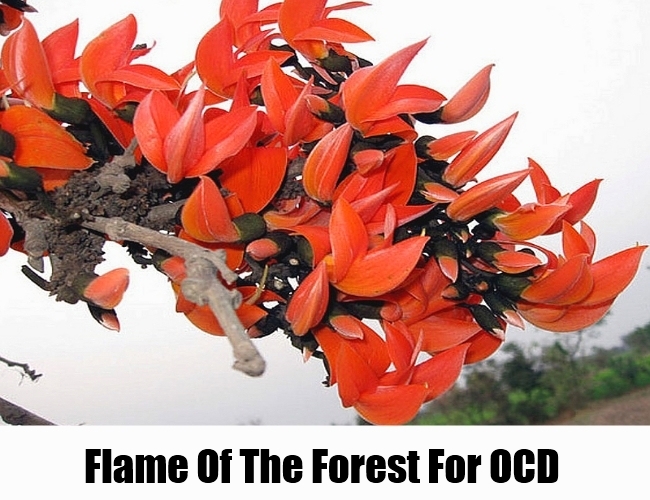 Studies have proven the efficiency of this herb in overcoming OCD. This plant is widely used in Indian herbal medicine to improve memory and rejuvenate the brain. The leaf extracts are found to be very effective to curb anxiety and stress. It can also improve cognitive function. Meditation is the most common relaxation technique practiced to soothe the brain. Meditating for 20 minutes, twice a day can relax your mind all day. Apart from relaxation, meditation can decrease anxiety and clear your mind of obsessive thoughts. Stress provokes OCD and reducing stress can minimize the symptoms of this disorder. Several relaxation techniques like deep breathing and progressive muscle relaxation can ease tension. These techniques send relaxation signals to the brain and help maintain harmony of the body and mind. This is a process in which brainwave patterns are balanced. By balancing the patterns, the brain is induced to exhibit apt patterns. Therefore, the brain functions normally leading to standard behaviour under any circumstance. It can also improve brain functioning and clarify your thoughts.This simple procedure can be practiced at home. Listening to isochronic tones (steady beats of a single tone) or binaural beats (generating two sets of beats for each ear that help in auditory processing) regularly can generate substantial changes. It can help you overcome the symptoms of OCD eventually. A comprehensive approach that involves a healthy diet, healthy lifestyle, and exercise along with the above mentioned treatment methods can save you from the addictive usage of prescribed drugs.